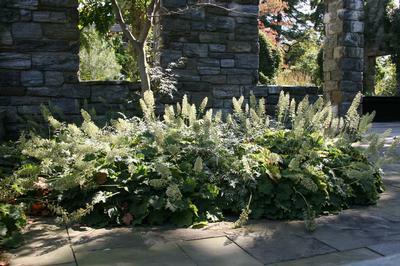 'Autumn Bride' Alum Root has chartreuse to ivory flowers in fall, over large fuzzy green leaves. Very showy in a mass planting, as can be seen at Chanticleer Gardens in Wayne, PA. 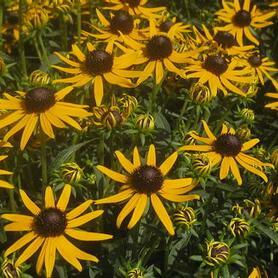 Introduced by Bluemount Nurseries of Maryland. 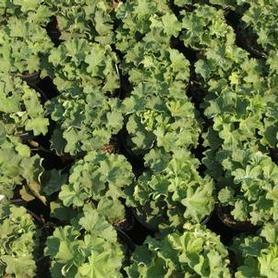 PRN Preferred: A large and vigorous grower, produces lots of flowers in the early fall, very reliable shade perennial.